Rosacea (roe-ZAY-she-uh) is a common skin condition that causes redness and visible blood vessels in your face. It may also produce small, red, pus-filled bumps. These signs and symptoms may flare up for a period of weeks to months and then diminish for a while. Rosacea can be mistaken for acne, an allergic reaction or other skin problems. Rosacea can occur in anyone. But it most commonly affects middle-aged women who have fair skin. Type one, known as erythematotelangiectatic rosacea (ETR), is associated with facial redness, flushing, and visible blood vessels. Type two, papulopustular (or acne) rosacea, is associated with acne-like breakouts and often affects middle-aged women. Type three, known as rhinophyma, is a rare form that is associated with thickening of the skin of your nose. It usually affects men and is often accompanied by another subtype of rosacea. Type four is ocular rosacea, and its symptoms are centered on the eye area. In the United States, the prevalence of rosacea seems to be on the rise and in the United Kingdom, the prevalence is 1.65 per 1000 person-years. There is a paucity of epidemiological data on rosacea, with reported prevalence rates ranging from as little as 0.09% to as much as 22.00%. The condition is most common among individuals aged 30 to 50 years and women are two to three times more likely to be affected than men, with women of menopausal age at a greater risk still. The cause of rosacea is unknown, but it could be due to a combination of hereditary and environmental factors. Rosacea is not caused by poor hygiene. Thickening of the facial tissue, especially the nose. Patients who are well informed about rosacea tend to cope better because they are prepared to deal with complications or recurrences. Emotional health is generally restored when symptoms are successfully addressed – this is more likely to happen if individuals comply with long-term medical therapy and take measures to minimize the factors that aggravate the condition. There is no clinical test for rosacea. A doctor reaches a diagnosis after examining the patient’s skin, and asking about symptoms and triggers. The presence of enlarged blood vessels will help the physician distinguish it from other skin disorders. Early diagnosis and subsequent prompt treatment significantly reduces the risk of rosacea’s progression. If the doctor suspects there may be an underlying medical condition or illness, such as lupus, blood tests may be ordered. The doctor may refer the patient to a dermatologist. There is no cure for rosacea. However, there are various treatments which can relieve the signs and symptoms. A combination of medications and lifestyle changes generally give the best results. The doctor may prescribe camouflage creams that mask blemishes on the skin. Topical medications – these help reduce inflammation and redness and are applied to the skin either once or twice a day. They are commonly used in combination with some oral medications. Antibiotics (metronidazole), tretinoin, benzoyl peroxide, and azelaic acid are examples of commonly prescribed topical medications. Oral antibiotics – for the treatment of rosacea, oral antibiotics are prescribed more for their anti-inflammatory properties. Oral antibiotics tend to give faster results than topical ones. Examples include tetracycline, minocycline, and erythromycin. Isotretinoin (Accutane) – this oral medication is sometimes used for severe cases of inflammatory rosacea if other treatments have not worked. Isotretinoin is a powerful drug that inhibits the production of oil by the sebaceous glands. As side effects may be severe, the patient needs to be monitored closely. Blephamide – a specific type of steroid eye drop which is sometimes prescribed for patients with ocular rosacea (eye symptoms). Eye drops are applied daily for 3 days to 1 week, followed by a break or tapered use. Tetracyclines – these are sometimes prescribed for patients with symptoms of ocular rosacea. Doxycycline helps improve dryness, itching, blurred vision and photosensitivity (sensitivity to light). Get any bothersome symptoms under control: A dermatologist can prescribe treatments to reduce redness and any breakouts. Find your triggers: One of the most important things is to learn what triggers your flare-ups, and then avoid them. It can help to keep a diary of what you were eating, drinking, and doing on days that the rosacea appeared. Take the diary to your next doctor visit, and discuss what you can do to help control the disease. Protect your face: Stay out of the sun between 10 am and 4 pm. When you are outdoors, protect your face by wearing a wide-brimmed hat or visor. Use a sunscreen that is rated SPF 30 or higher every day. If your skin is dry, find a moisturizer with sunscreen. Be gentle with your skin: Use skin care products for sensitive skin, and avoid any products that scratch or irritate your skin. Try not to rub or scrub your skin. Previous Measles: Symptoms, Complications and Treatment. 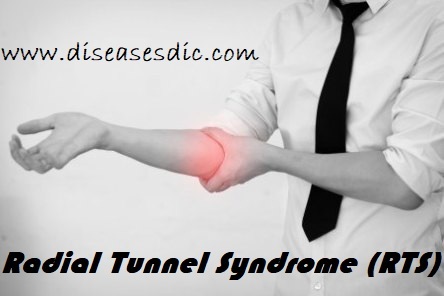 Radial Tunnel Syndrome (RTS) – Overview and Treatment. Rett Syndrome – Description, Risk factors, Pathophysiology. 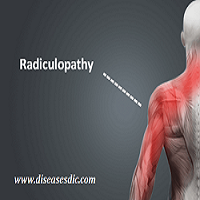 Relapsing Polychondritis – Definition, Causes, and Prevention.